Where now for solar energy in Ireland? As the digital age and a global effort strive to reduce the carbon footprint, we summarise the first report to be issued by the Department for Infrastructure on the Northern Ireland public’s attitudes towards electric vehicles. As part of a greater commitment to reduce carbon levels the Department for Infrastructure in Northern Ireland has outlined its ambitions for the greater integration of low-emission vehicles alongside more sustainable transport options. A large part of this transition was focussed on the ecarNI Project, which in 2012 installed 336 points of electric vehicle charging infrastructure at 176 locations across the region. 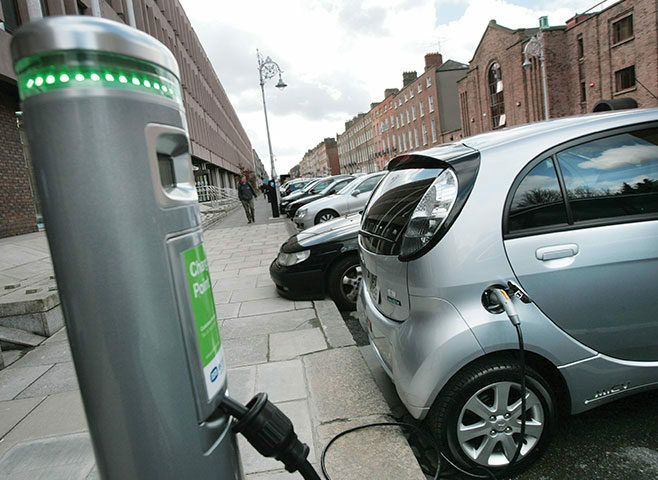 A further 54 charge points were added within the Public Sector Estate, the largest employment sector in Northern Ireland. While there is no doubt that a range of factors driven by advanced technologies have made electric vehicles cheaper to manufacture and purchase, more aesthetically pleasing and all together more accessible, leading to an increased number on Northern Ireland’s roads, public attitude to this new form of sustainable transport remains largely negative. Data taken from the 2015/16 Continuous Household Survey (CHS) found that 94 per cent of respondents were ‘not at all likely’ to buy an electric car as their next vehicle. While 6 per cent indicated they were ‘quite likely’ to purchase one, only 1 per cent indicated with the surety of ‘very likely’. Those most likely to buy an electric vehicle were generally in the 25-34 and 35-49 years of age category. In terms of reasoning, around half (45 per cent) of respondents indicated that no incentive would encourage them to buy an electric car. The most popular factors identified that would encourage people to purchase an electric vehicle include: low running costs (36 per cent), £5,000 grant towards purchase of an electric vehicle (32 per cent), no carbon emissions (22 per cent) and no requirement to pay for petrol or diesel (20 per cent). On the other hand, reasons for not owning an electric car were given as: need to recharge (59 per cent), vehicle range (55 per cent), purchase price (50 per cent).